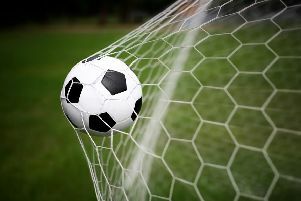 East Preston Football Club boss Bob Paine was satisfied as his side took a point from their Southern Combination League Division 1 clash at Mile Oak last night. Paine’s side went into the encounter on the back of a first league defeat and an FA Vase exit in their last outing aswell. However, EP picked up a well-earned point following a scoreless draw at in-form Oak. Paine was pleased to come away from the game with something and said: “I’d have taken a point before the game and I was happy to come away with that return. “We knew it was going to be a tricky place to go, the pitch is tight and we struggled to play our usual game. “I felt defensively we were very solid but just failed to create as many clear cut chances as we’d have liked. Dylan Barnes wasted a couple of good openings in an otherwise quiet first period. Oak came close to breaking the deadlock after an hour, EP goalkeeper Chris Cook let a shot go by, only for the ball to bounce back off a post and hit him before going out for a corner. Neat play from Harry Smith saw him jink clear down the left, with his pull back finding Jacob Parazo, who could only blaze over. East Preston make the trip to Seaford Town in the league on Saturday. EAST PRESTON: Cook; Josh Parazo, Lyne, M.Smith, Jacob Parazo; Hardman, J.Barnes; Rance, Huet, H.Smith; D.Barnes. Subs: Laughlin (Huet), Taylor (H.Smith), Etherington, Hallett, Purkis.